What is Kabul Really like? 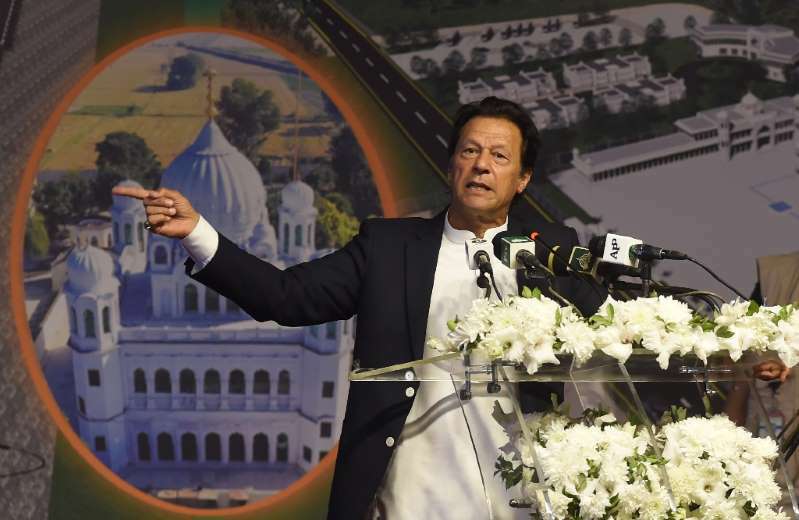 Pakistan's foreign ministry said Monday that US President Donald Trump has written a letter to prime minister Imran Khan seeking Islamabad's support in securing a "negotiated settlement" to the war in Afghanistan. Ariana News Agency- The development comes as Washington steps up efforts to hold peace talks with the resurgent Taliban, more than 17 years after the invasion of Afghanistan. In the letter, Trump said a settlement is “his most important regional priority”, the Pakistani foreign ministry stated. “In this regard, he has sought Pakistan’s support and facilitation”, it continued. In a televised interview to selected journalists in the evening, Khan said his government would “try our best to make the Afghan Taliban sit together with the Americans so that negotiations can be carried forward,” without giving further details. US officials accuse Islamabad of ignoring or even collaborating with groups such as the Afghan Taliban and the Haqqani network, which attack Afghanistan from safe havens along the border between the two countries. The White House believes that Pakistan’s Inter-Services Intelligence agency and other military bodies have long helped fund and arm the Taliban both for ideological reasons and to counter rising Indian influence in Afghanistan. It believes that a Pakistani crackdown on the militants could be pivotal in deciding the outcome of the war. Pakistan has long denied the claims and says it has paid the price for its alliance with the US in the so-called “war on terror”, with thousands of its citizens killed in its long struggle with militancy. “Trump acknowledged that the war had cost both USA and Pakistan,” the foreign ministry statement continued. Islamabad would help facilitate any talks “in good faith”, the ministry added. The troubled relationship between Pakistan and the US hit yet another bump last month after Trump declared he had cancelled assistance worth hundreds of millions of dollars because Islamabad does not do “a damn thing” for the US. Khan hit back at the criticism on Twitter, calling on the US president to name an ally that has sacrificed more against militancy. Trump’s letter came as the US announced Zalmay Khalilzad will make another visit starting this week as special envoy to the region. Khalilzad will meet officials in Pakistan and Afghanistan, as well as Russia, Uzbekistan, Turkmenistan, Belgium and the United Arab Emirates, as part of the push for talks. He recently expressed hopes that a peace deal to end the war could be struck before the Afghan presidential election, scheduled for April. At an international conference on Afghanistan in Geneva last Monday, Afghan president Ashraf Ghani said a 12-person Afghan negotiating team has been prepared for peace talks. But the Taliban, who have previously insisted they will only speak with US officials, rejected Ghani’s overtures, calling the government in Kabul “impotent” and a “waste of time”. Who could replace Theresa May?